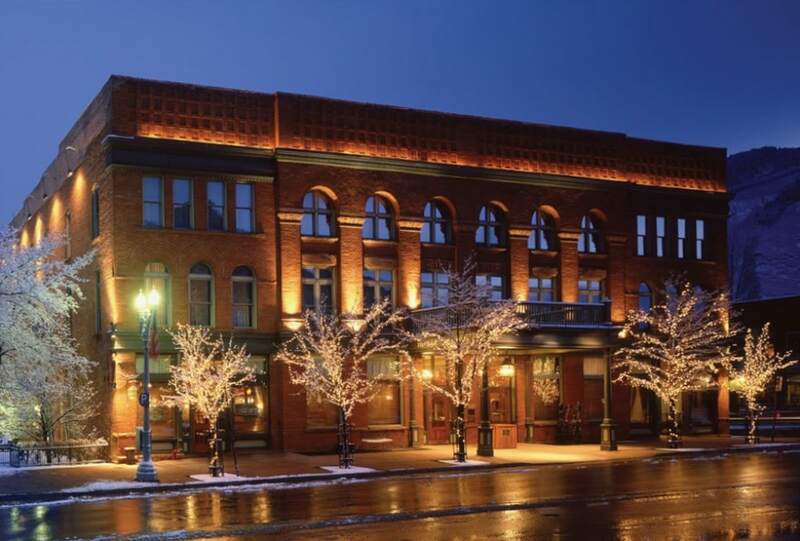 In the 19th century the silver mines brought a lot of money to Aspen. Nowadays tourism plays the musique, mainly in the winter when all the skiers are looking for the famous champagne powder or round the year many artlovers meeting at a vernissage. 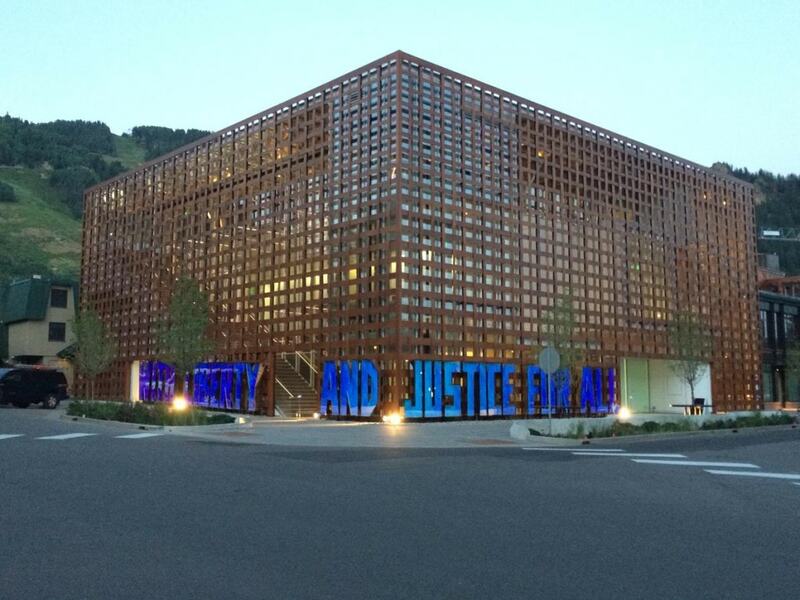 More than 20 galleries, an opera house and now the newly opened Aspen Art Museum, quite extraordinary for this little town in the middle of Colorado. 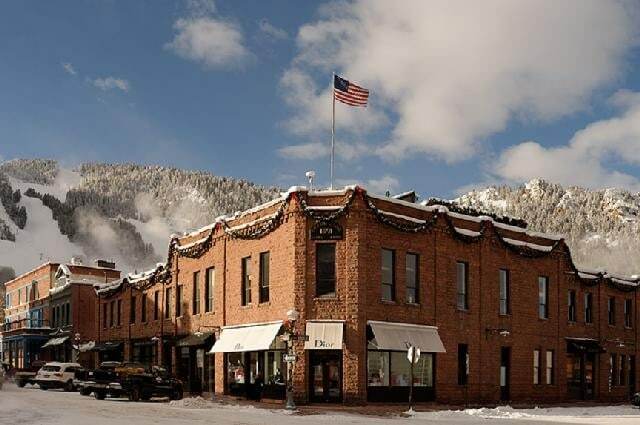 But the beginning of Aspen as destination was favorable for art, the founders loved the Avantgarde and asked 1947 Herbert Bayer, an architect from the Bauhaus, to design the future resort of Aspen Skiing Company. the new Museum is an eyecatcher, the very special facade adjusts nicely into the landscape of Aspen Highlands. 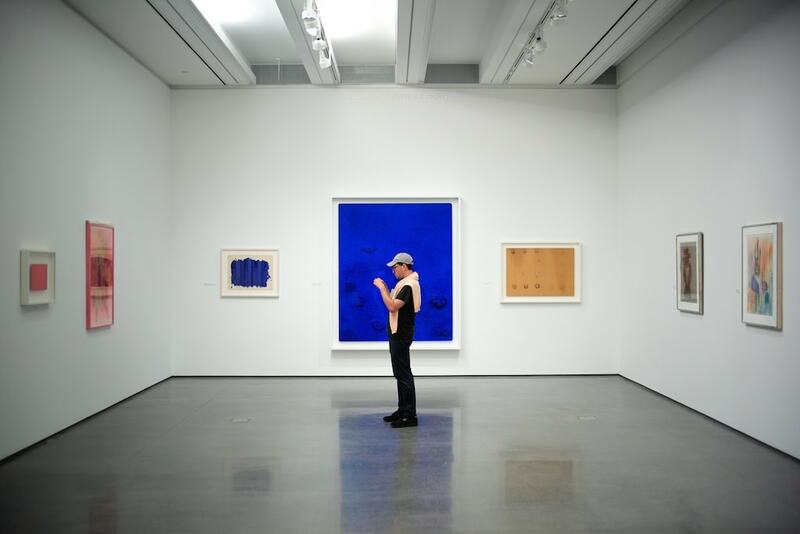 The exhibition of Yves Klein and his famous blue paintings at the Aspen Art Museum. 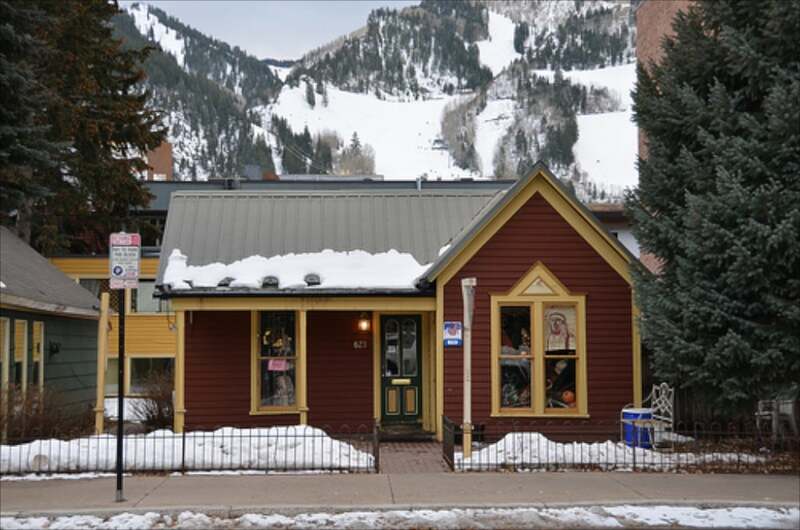 Built end of 19th century, the Brand Building is a listed house in Aspen. 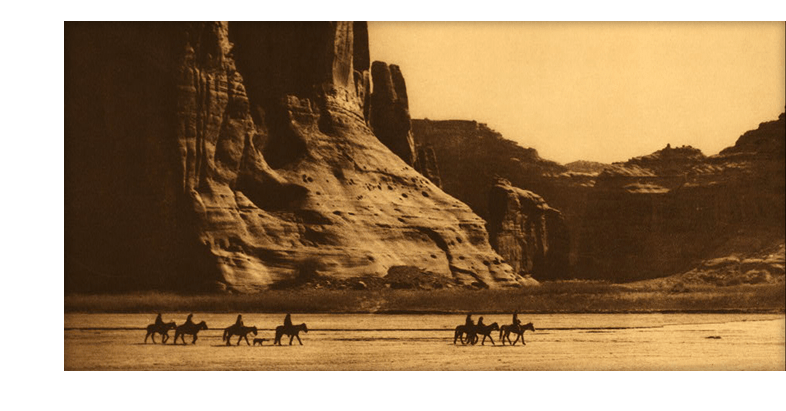 All the photos of Edward S. Curtis are showing an amazing atmosphere. Art in unexpected places It makes Aspen so special that you can see pieces of art at quite unexpected places. Like the photos of Walter Niedermayr from South Tyrol and his “Aspen Series” in the rooms and in the lobby of the Hotel Little Nell, in the Lounge of the Hotel Limelight, in different mountain restaurants. 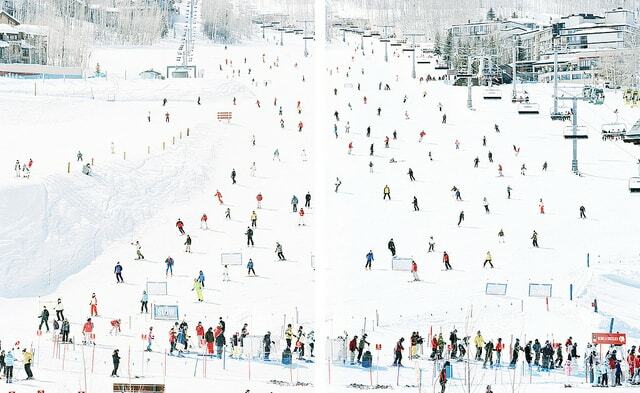 But the very best, every year you see a different photo on the seasonal ski tickets. one of the wonderful photos of Walter Niedermayr. 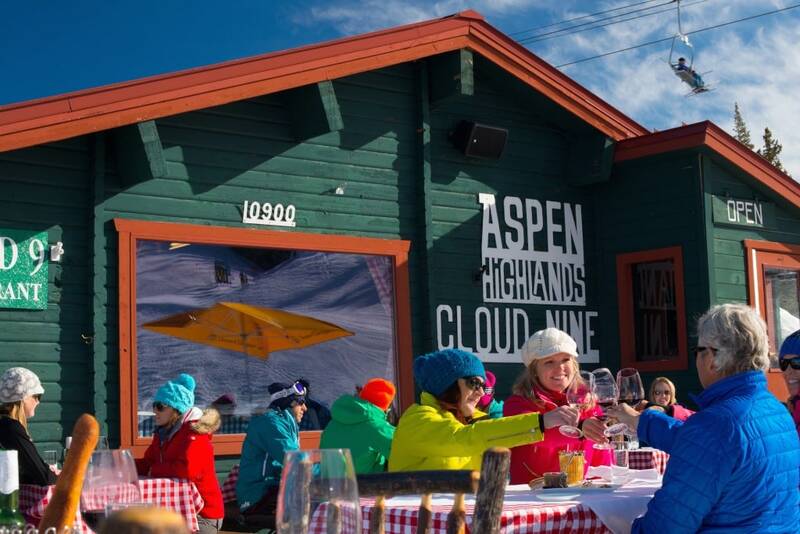 Skifahren Aspen is famous for the champagne powder und the very best you can find in the Highland Bowl in the Aspen Highlands. Different “gates” are leading to different grades of difficulties, so the rather steep G- zones is meeting point for experienced skiers. 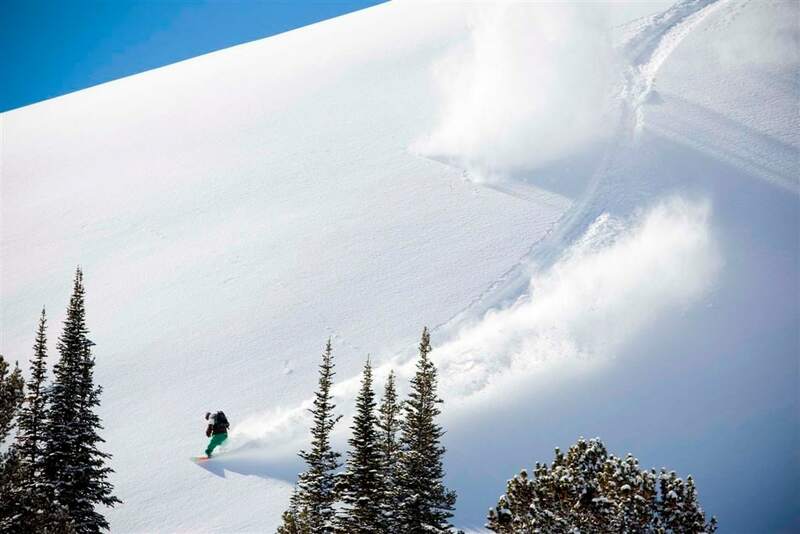 Once a week the freeriders get a free shuttle on a snowcat to the edge of the Highland Bowl by ski guides. Then you have to walk another 45 minutes to end up in the dream of champagne powder. 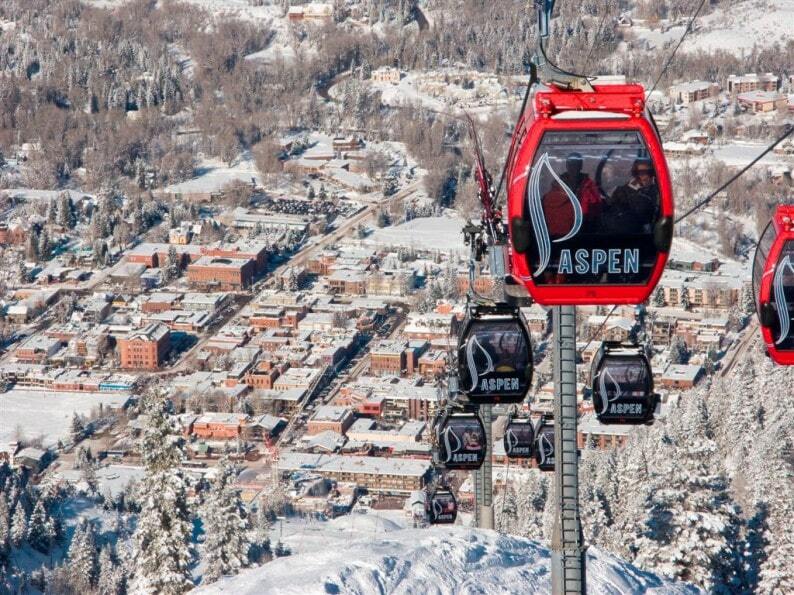 Aspen Mountain as well has to offer exciting downhills, whereas normal skiers enjoy the mountains of Buttermilk and Snowmass. 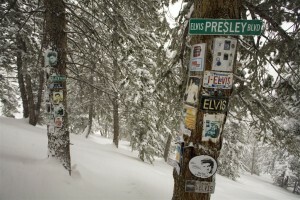 Shrines in Aspen Mountains Tree- Skiing in champagne powder and through aspen trees is a wonderful experience. But you must be lucky to find the “shrines”, dedicated to world famous stars like Elvis Presley, Marilyn Monroe, die Beatles or Jimi Hendrix . Very often they are hidden under the trees, but the ski guides are more than happy to tell you where to find them. Cloud Nine bistro is famous for his wonderful lunches. Where to spend the late evening? Where to shop? 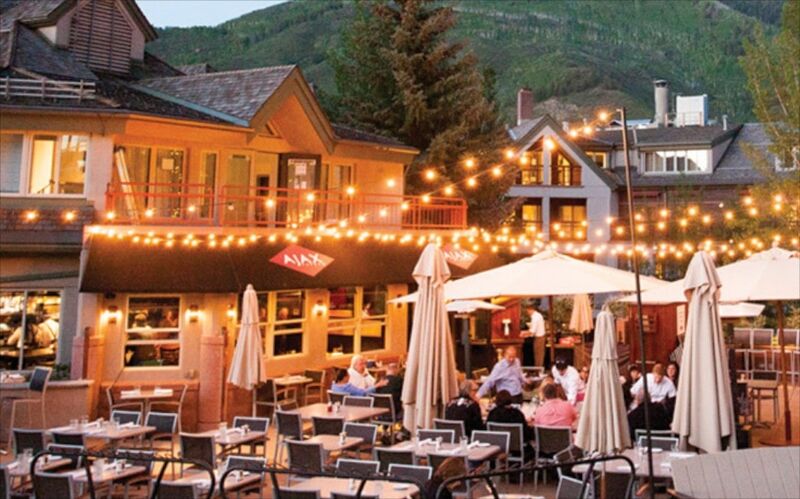 You find all luxury labels in beautiful boutiques, there is a lot of money in Aspen and loads of people who want to spend it. But much more fun is to visit the secondhand shops. for 23 years you could find Susie’s Limited in this romantic house. Susie’s Limited For 24 years Susan Harvey is selling many luxury labels for men and women, as well as shoes and ski suits. Everyone who loves jeans, here you have loads of them. 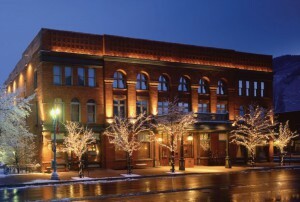 600 E Main Street, Tel. 0970 920 2376. Open Mo – Sat 10am – 6pm. 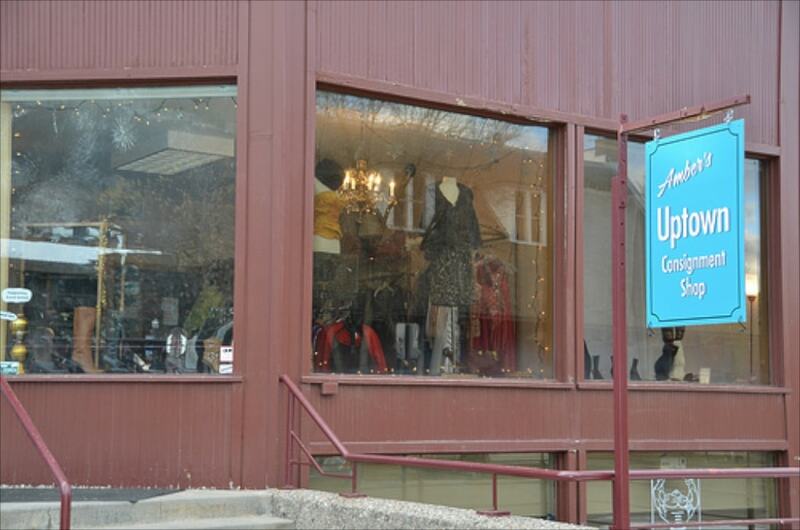 the secondhand shop Amber’s Uptown Exchange is locates in a victorian building. Amber’s Uptown Exchange This shop is a dream for fashion victims because of the labels Gucci, Prada, Fendi, Armani or Nieman Marcus. The bestseller though, is the winter collection of Ralph Lauren. 517 E Hopkins Ave. Tel 0970 925 9818. Open 12am – 6pm.